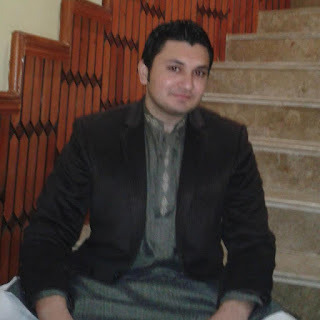 I am Dr. Hassan Mahmood from Pakistan, professionally i am a pharmacist and a pharmacologist. I have vast experience of writing, both online and offline. My topics of interest range from health to current affairs, from cars to electronic gadgets, anything i find interesting. I also have good experience of affiliate and internet marketing. I plan to build this blog steadily and want to add good quality content. The development of this blog to my expectations may take some time. But i will try my best to post quality original content, i may use, read or follow related online and offline sources to compile my posts, but all the posts will be created by me, you can say that all the posts you will find here will be fully written personally by me.Now let me come to the purpose and target of this blog, the most important aim of this blog is to spread quality knowledge to the readers, which they will find interesting and also informative. Each post will help the readers in understanding the topic of each post and will definitely increase their knowledge. Second aim is to be expressive and open to the fullest, as i always want to share my knowledge, third purpose is to generate some revenue so that it covers my time, my work and my dedication towards this blog, it will help cover some of my expenses.I am hopeful that this blog will be worth reading for all of you. At the same time i want to post a Disclaimer here, that all the posts and information on this blog should not be considered as scientific evidence, all posts are for the purpose of sharing and spreading information in a lively manner. Do bookmark this blog address and keep reading. I will try to post as frequently as i can. Wishing all of you best of health, wealth and well being. Stay tuned. Also All of you are free to contact me with your suggestions, articles, guest posting, advertising and new ideas. You can find my email address below. Keep Smiling.